Hans Herrmann, one of the most successful and popular racing drivers to join the Porsche AG works team, will be celebrating his 90th birthday on February 23. The endurance and Monoposto specialist, born in Stuttgart in 1928, is regarded as one of the most reliable and consistent race drivers of all time. In the course of his motor sport career, Hans Herrmann won more than 80 overall and best of class victories, most of them for Porsche. Never to be forgotten is the spectacular incident that occurred during the Mille Miglia in 1954, when Herrmann and his co-pilot Herbert Linge ducked flat under the barriers to cross the rails at a closed level crossing, right in the path of a rapidly approaching train. Later, Herrmann made a photo of the spectacular moment the sub-ject of a letter card, with the inscription “Glück muss man haben” (“You’ve got to be lucky”). In conversation, he completed this definition in a much more serious under-tone: “Glück hat, wer als Rennfahrer überlebt.” (“Luck, for a racing driver, is to survi-ve”). 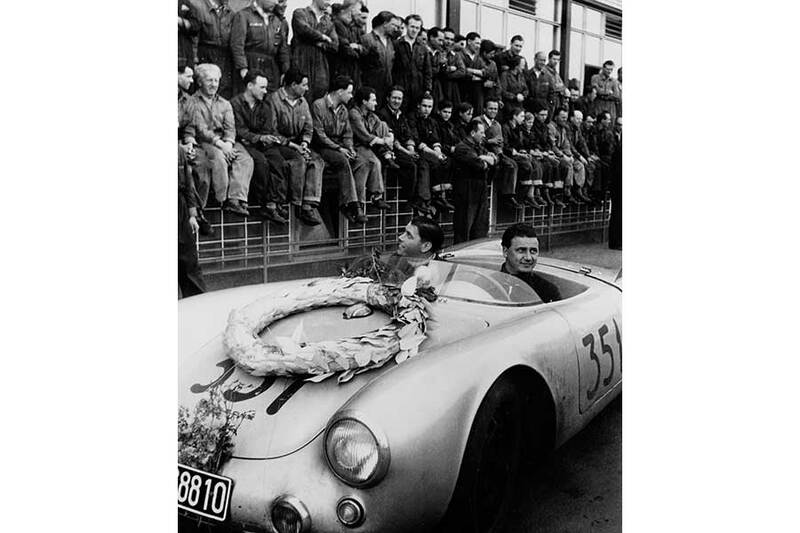 When in 1955 the Daimler-Benz works withdrew from motor sport, Hans Herrmann was at the start again for Porsche. There followed the wandering years with Maserati, B.R.M and Borgward and, in 1959, the next homecoming to Herrmann’s ‘own brand’, Porsche. 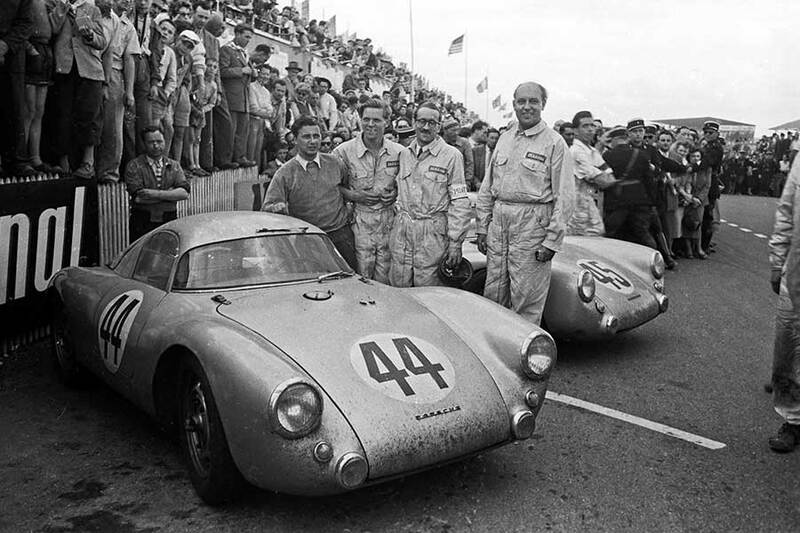 Together with Olivier Gendebien in a Porsche 718 RS 60 Spyder, he won the 1960 12 Hours of Sebring, achieving Porsche’s first overall victory in a manufacturers’ world championship endurance race. Shortly afterwards, the combination Hans Herrmann/Porsche RS 60 Spyder, together with Joakim Bonnier, also won the round Sicily ‘Targa Florio’. In 1960, Herrmann also became Formula 2 European Champion with the Porsche 718/2. In 1962 he changed to Carlo Abarth and was active as works driver for the Vienna design engineer from 1963. Three years later, in 1966, he returned to the Porsche works team once again. Not only did Herrmann take part in all the great endurance races, besides driving European hill climb championship courses; he also carried out countless test drives in the – then newly-opened – Weissach Development Cen-ter. All images copyright ©2018 Dr. Ing. h.c. F. Porsche AG.